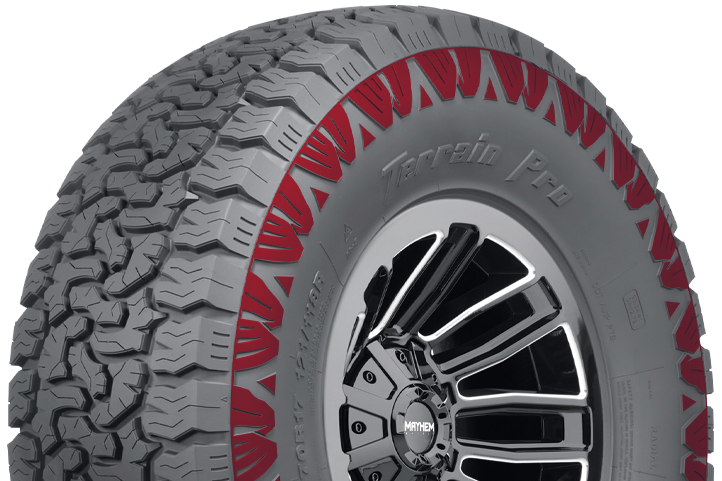 The all-new AMP Terrain Pro A/T delivers a longer tread life and withstands demanding environments. 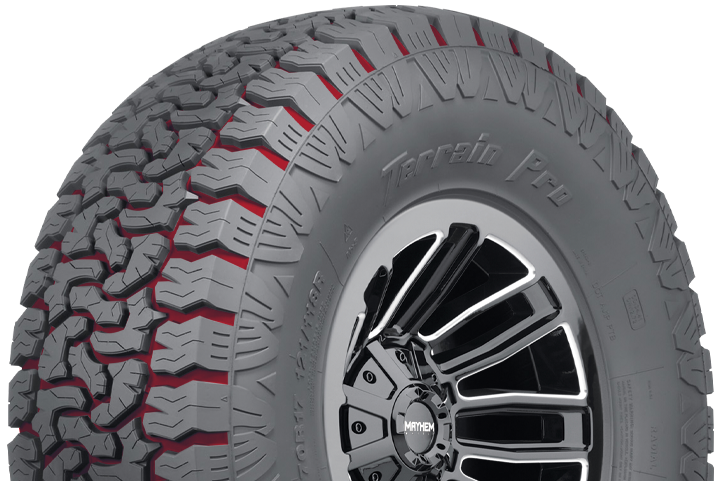 With deep, multi-function tread grooves it provides enhanced traction in a wide variety of conditions while delivering a smooth and controlled ride. 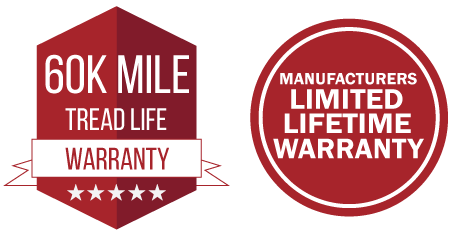 A broad selection of sizing and a 60,000 mile warranty drive the Terrain Pro A/T to be the leader of the pack. Advanced compound prevents chipping and delivers a longer tread life with more consistent contact surface to deliver a smooth and controlled ride. Stepped tread blocks allow more stable control and multi-direction sipes create greater traction in snow. 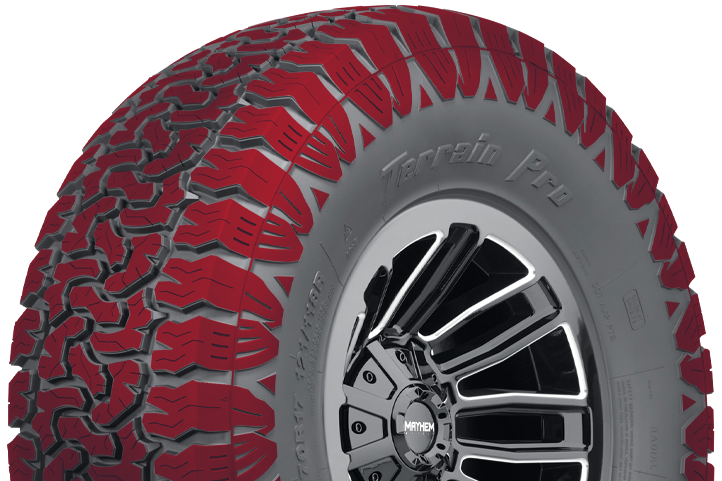 Unique “twin peaks” sidewall and open shoulder design delivers assertive performance in every condition and help evacuate water, mud and snow for improved traction. 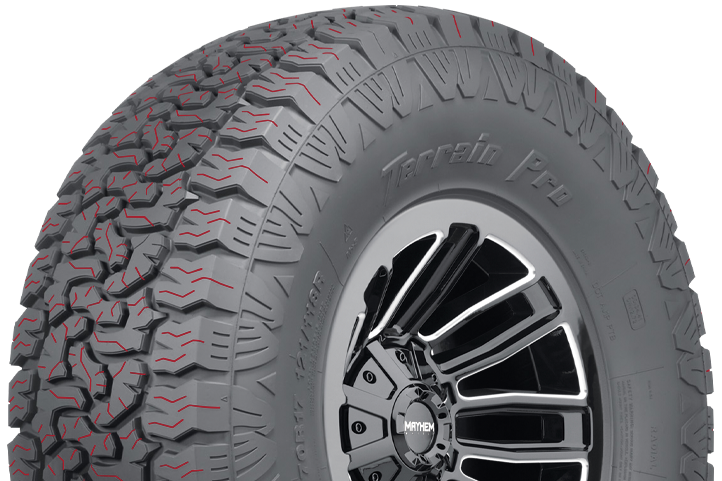 Deep grooves and rock ejectors keep tread grooves free of mud, snow, dirt and gravel while mitigating possible punctures.